Markets edged higher on Wednesday as optimism on a U.S.-China trade deal lifted the markets in the early trading session. The Dow Jones Industrial Average rose as much as 150 points, while the S&P 500 gained 0.4 percent and the Nasdaq Composite ticked 0.56 percent higher. The Dow gained over 250 points on Tuesday after reports surfaced that the U.S. and China are narrowing their differences as trade negotiations continue. As China’s economy languishes, this could be a major factor in negotiating a permanent trade deal. On Monday, U.S. President Donald Trump said that talks with China on a trade deal were progressing and that weakness in the country’s economy is paving the way towards a resolution. The president also tweeted on Tuesday that talks with China are moving forward in the right direction. President Trump and Chinese President Xi Jinping met at the G-20 Summit in Buenos Aires, putting global markets on pause as the two economic superpowers met to hopefully ameliorate their trade differences. As part of the agreement, both nations agreed to withhold imposing further tariffs on each other for 90 days while they work out a firm, ironclad deal. 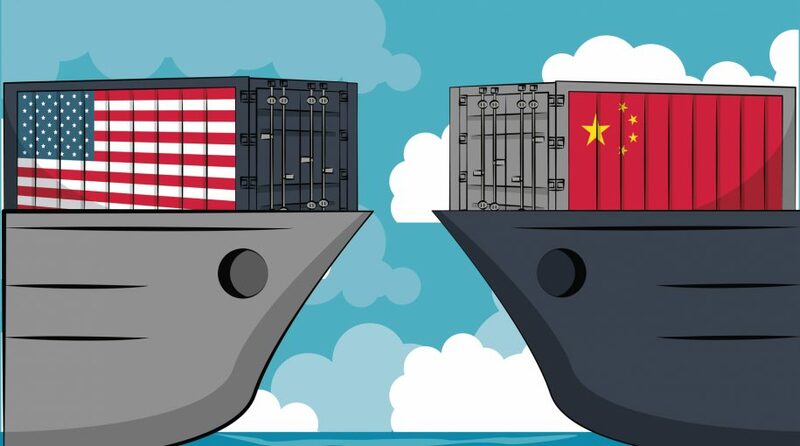 The U.S. agreed to keep the current 10% tariffs on over $200 billion worth of Chinese goods while an agreement is negotiated, but will increase to 25% if no agreement is reached prior to the 90-day deadline.